Apply lemon juice right on your scars. Apply a Fenugreek leaves face mask. You can get rid of scars by applying a paste of sandalwood and rosewater. Fresh fruits can nourish your skin. If you have scars on your face caused by acne, you can apply fresh lemon juice. Do not directly squeeze the lemon on your face, rather just squeeze the lemon juice out in a bowl and use a cotton ball to dab it on your scars. Leave it for a couple of minutes and then wash off with cold water. Mix sandalwood and rosewater, apply it on the scars as a mask. Leave it for more than an hour. You can try this mask while going to bed at nights, leave it over night. Mixture of rose water and sandalwood acts as soothing coolant that helps in treatment of acne scars. 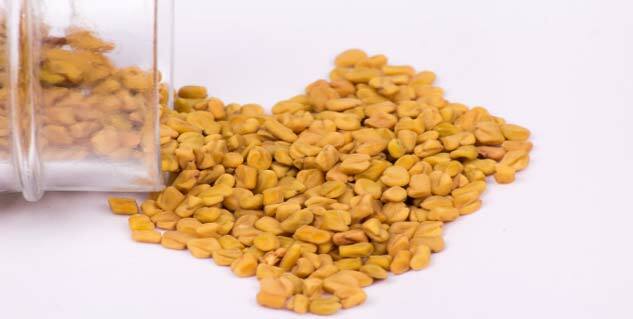 Mash fenugreek leaves, make a paste and then apply it on face. This mask can treat acne scars. The Vitamin C acts as an antioxidant while the anti-inflammatory agent it contains, helps you treat acne scars. Exfoliating your skin with baking soda may benefit you more than you can imagine. Make solution of baking soda to two teaspoons of baking soda and massage this solution on your face and then after this take a little amount of olive oil and massage it on your skin to retain the suppleness and softness lost by your skin. The moisturizing nutrients of olive oil go deep in your skin to ease and soften your skin from deep within. If you have fresh fruits rich in vitamin C, A, B complex, K and E that helps you have a healthy skin. And not just by eating, you can exfoliate or just use fruits as a face pack. 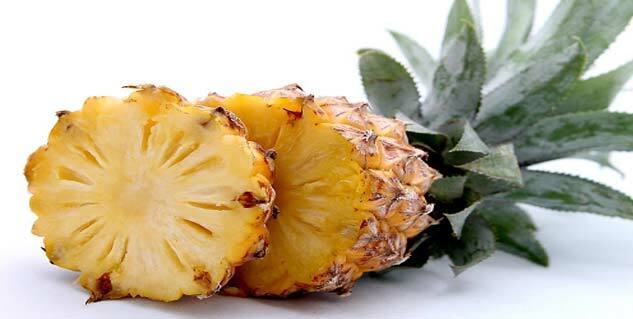 Like pineapple, you can make puree out of pineapples and apply on your face, leave it for 10-15 minutes, the vitamin C helps you brighten your face and fade the acne marks. The home remedies given above are simple ways of getting rid of acne marks and should be tried if your marks are not serious. It is important that you stick with some of these methods for some days to get the desired result. 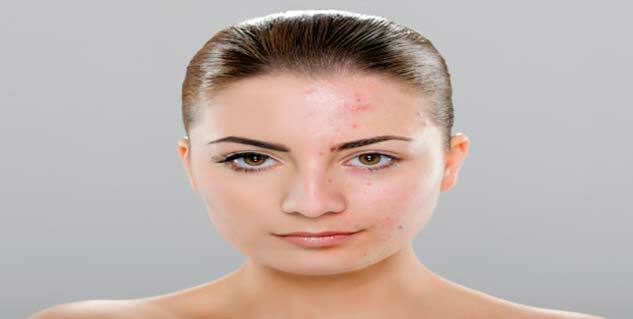 There are home remedies that are simple and effective to treat acne marks, if your marks are not that critical. You can always seek help of dermatologists if you don’t get desired results.